Count Five (also Count V) was a garage rock group consisting of the member Kenn Ellner, John “Sean Byrne”, Roy Chaney, John “Mouse” Michalski and Craig “Butch” Atkinson, from San Jose California who’s song Psychotic Reaction reached number 5 in the Billboard charts in 1966 and was selected as one of the five hundred most influential songs in Rock n’ Roll History by the Rock n’ Roll Hall of Fame. 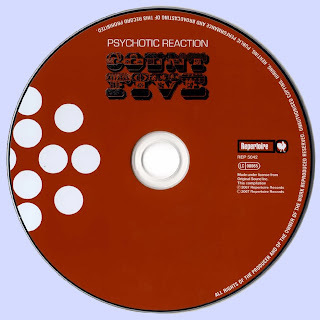 Psychotic Reaction was released worldwide and obtained prominence in United Kingdom, Spain, Japan, and Mexico. The history of the Count Five begins in 1964 in San Jose, CA with two friends Roy Chaney (born 1948) and John “Mouse” Michalski (born 1949). They formed a surf band known as the Citations. An additional member was Skip Cordell who played drums. In 1965 Roy and Mouse wanted to add a lead vocalist and change the direction of the band so after auditions they added as lead vocalist a long time friend Kenn Ellner (born 1948) and a piano player Phil Evans. All of the members went to Pioneer High School in San Jose, CA except for John Michalski who attended Blackford High School but later also attended Pioneer for a short time. The band’s new direction and genre was English Invasion music and some rhythm and blues. The name of the band was changed to The Squires. Both Skip and Phil exited the band. A new neighbor moved in across the street from Kenn Ellner his name was John “Sean” Byrne (1947-2008). John was a prolific song writer a guitarist and great vocalist. One day while at Pioneer High School Kenn heard John playing his guitar and singing Mrs. Brown You’ve Got A Lovely Daughter. Kenn asked John if he would like to come to rehearsal that night at his house and see if he would like to join the band. John joined the band and a few months later at Kenn’s kitchen table the two band members came up with both a new name for the band Count V and style of Dracula capes and “Tom Jones (the movie)” styled shirts as stage outfits. The band had gone through several drummers and Kenn Ellner talked to Craig “Butch” Atkinson (1947-1998) who also attended Pioneer High School and asked if he would come to a rehearsal at his house and see if he wanted to play with the band. The first song he played was an original and Butch played it as if he had been playing the song for years. Butch was a perfect fit and he joined the group. The band shifted genres to mostly garage style rock and roll with influences from The Yardbirds, The Beatles, The Who, and The Rolling Stones. The Standells were not an influence. The line up for the band was Kenn Ellner vocals and harmonica, John “Sean” Byrne vocals and rhythm guitar, Roy Chaney, Bass Guitar, John “Mouse” Michalski, Lead Guitar, and Craig “Butch” Atkinson, drummer. The band members were rejected by several record labels before they got signed to the Los Angeles-based Double Shot Records. The band decided to pursue their collegiate endeavors and disbanded in 1968 and reunited as later described. At a rehearsal in early 1966, Psychotic Reaction was composed by the group. 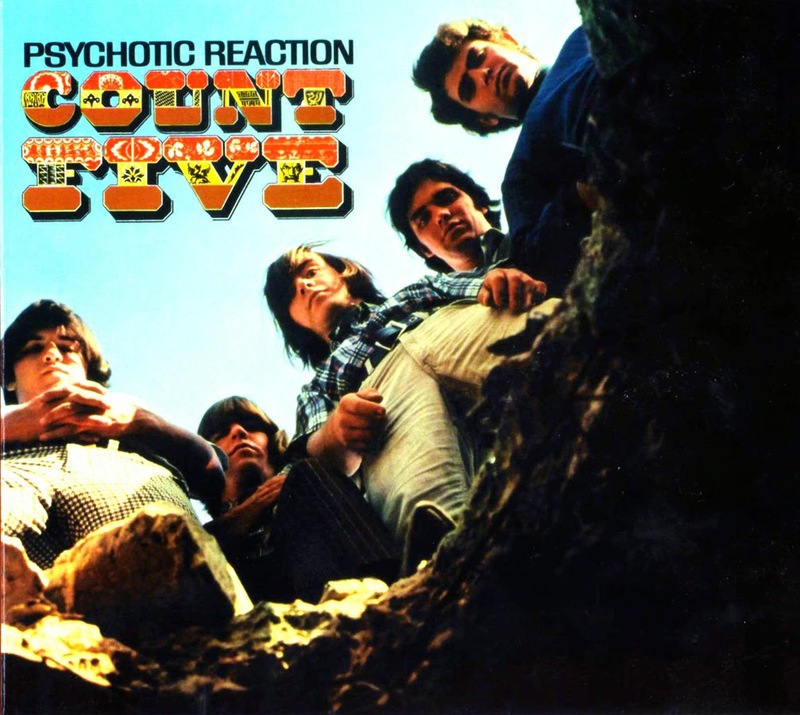 Psychotic Reaction” is an early garage rock song released by the American rock band Count Five in 1966, and also the title of their only album. The song Psychotic Reaction was written by the five members of the Count Five, Craig “Butch” Atkinson, John Byrne, Roy Chaney, Kenn Ellner and John “Mouse” Michalski. The song started off as an instrumental jam between Ellner, Chaney and Michalski and was composed in the living room of Craig Atkinson’s at the beginning of a rehearsal. Kenn Ellner was breaking in a new harmonica for the first time and Chaney and Michalski were jamming and composing. The harmonica was a C harmonica, so the jam was in G. Atkinson and Byrne joined the rehearsal and added to the jam and composition. Many weeks prior to this monumental rehearsal Byrne had a psychology class at San Jose City College. The lecturer was discussing psychotic reactions and a friend and classmate Ron Lamb thought it would be a good name for a band. John Byrne had mentioned to the band about that event and it evolved from the name of the band to a good name for a song. At the rehearsal Ellner and Byrne looked at each other and said this is “Psychotic Reaction”. The song was played by the band for a long time at their live performances as an instrumental and was well received by the Count Five fans in attendance. Fans were wildly ecstatic about the instrumental version. However, after much prodding from the band’s manager Sol Ellner at a rehearsal at Ellner’s house, Byrne was told by Sol to “Go across the street and don’t return without lyrics to the song” (Byrne lived across the street from Ellner with Byrne’s uncle Leo). Byrne complied. The song went through months of modifications by the band modifying beats, rhythm and the like. As the band auditioned for various labels and producers all had constructive criticism about the song and its structure. Taking into account some of the criticisms and discarding others the band members worked many hours and many months modifying and rearranging the composition with assistance from multiple sources., a DJ from KLIV Radio Brian Lord, various producers of audition sessions, management, agents, friends and fans. In the studio at Nashville West on Melrose Avenue in Los Angeles, Double Shot Record’s producer even modified the lyrical content by suggesting and adding the famous tag line “And it feels like this”. Psychotic Reaction was truly a collaborative composition. This is the true story of how the song was composed. Psychotic Reaction was not written by any one individual any such report is entirely false. The song was modeled after the Yardbirds’s song “I’m a Man”, with a repetitious rhythm that eventually changes to a faster beat, an electric guitar playing a hypnotic melody going up the scales, and a similar style of percussion to that of the Yardbirds hit. Upon the initial establishment of the Rock n’ Roll Hall of Fame, Psychotic Reaction was featured in a long running exhibit in the Hall entitled The Five Hundred Most Influential Songs of Rock n’ Roll History. The name of the exhibit has changed to The Most Influential Songs of Rock n’ Roll History as additional songs have been added. The band regrouped first for their high school twenty year reunion in 1986 all original members in tact. Then again in 1987 they appeared at “One Step Beyond” in Santa Clara California, with a new drummer Rocky Astrella for most of the set, though Butch did perform on Psychotic Reaction. That was the last time all of the original members performed together. This performance has been released as Psychotic Reaction Live. The Count Five is still performing as of this writing in April 2012 with the latest line up consisting of Chaney, Ellner, Michalski, Indovina and Astrella. All songs by Sean Byrne except where indicated. Tracks 1-25 recorded in Mono, tracks 26-28 recorded in Stereo. Thank you Marios for a great album!